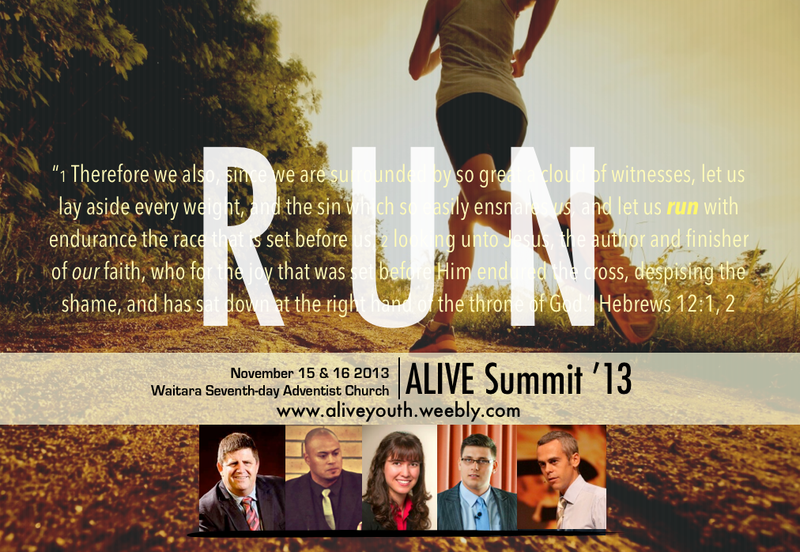 ALIVE Summit '13 "RUN" - WELCOME TO ALIVE ONLINE! Session 1 @ 7:00pm - "Relentless Forward Motion!" Session 2 @ 8:00pm - "Runaway Prophet"
Session 3 @ 8:30am - "One Generation Away"
Session 4 @ 11:10am - "Running from Place to Place"
Session 5 @ 2:30pm - "So Close Yet So Fat"
Session 6 @ 4pm - "Running on Empty"